UNIVERSAL PACHACAMAC (CODE LIM06)|LimaTravel V.I.P. Pachacamac is one of the most impressive archaeological places in the central coast of Peru, located in the Lurin valley 31 km from Lima city. The place was settlement of pre Inca as well as the Inca civilization, which venerated Pachacamac, the world maker. 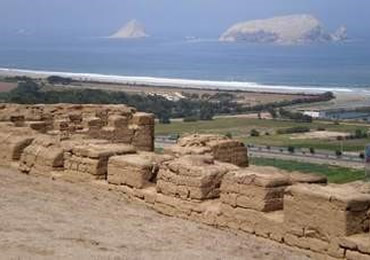 Pachacamac was considered as the most important divinity in the central Coast.. 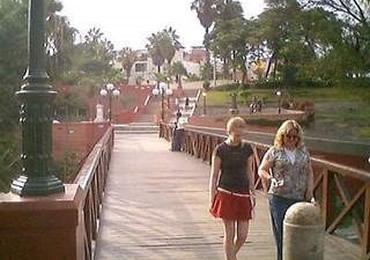 The tour begins picking up our tourists from their own hotels in Lima to stroll around the districts of Barranco, Surco, Villa El Salvador on our way of getting to the Archaeological Complex of Pachacamac. After registering the visitors we walk into the archaeological complex with a guide, the longer the visit the more interesting it gets, you can get to know and appreciate further details of the Adobitos (mud brick) Complex, the pyramids with ramp, the streets that link the sacred city of Pachacamac, the temple, the temple of the Sun and the Acllahuasi or house of the chosen women. 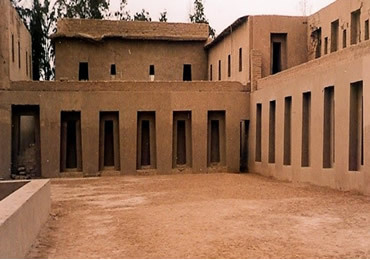 We will visit the museum of the site which displays archaeological pieces found in different excavations, such as pottery, textiles, and the famous wooden idol the one who the ancient people before the Incas venerated in the Central Coast and then its name was changed to Pachacamac. Finishing the visit, we take a short rest, ideal to recharge our energy with a snack or to do some shopping. Picking up from the hotel in Barranco, Miraflores, San Isidro and Lima. Bilingual service. Spanish – English. Tickets to Access to the Archaeological sites. Shuttle service maximum speed 90 km/h. Guided visit to the splendid Pachacamac´s God sanctuary, creator of the universe for the ancient Andean peoples. The citadel is composed by the Temple of the Sun, Pachacamac, “The Acllahuasi” or The Virgin´s Sun Palace, among others. The whole place was considered sacred and part of the mystical axis of the world. Lima, was the scenery of the development for one of the most enigmatic civilizations that were identified in the period of 200 – 700 a.c. The Lima civilization. Settled on a generous and fertile geographical place, they knew how to take chance in a responsible way of the natural resources. 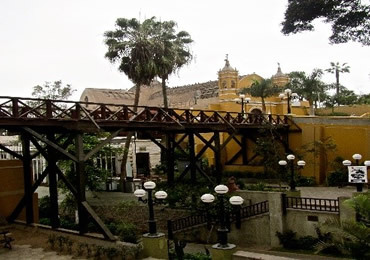 There is a natural area known as the Swamps of Villa in the district of Chorrillos secluded from the urban place of Metropolitan Lima. The natural environment was formed by a number of not so deep lagoons and some aquatic plants. 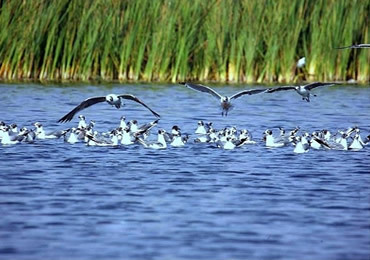 In this place hundred species of birds and 60 types of vascular plants are registered as well as a diverse aquatic fauna such as fish, mollusk and crustaceans. Pick up from your hotel in Barranco, Miraflores, San Isidro and Lima. Bilingual service. Spanish - English.